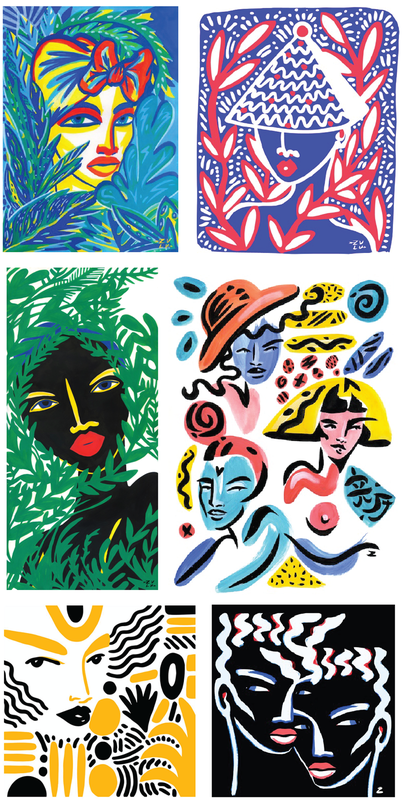 Admiring the vibrant artwork of UK-based illustrator, Lynne Zulu. Her illustrations indicate a strong African influence: colorful, energetic, exotic with a bold tribal appeal. Images: Courtesy of Lynnie Zulu.